It has been several years since we began our long but rewarding journey as certified Xero bookkeepers in London. 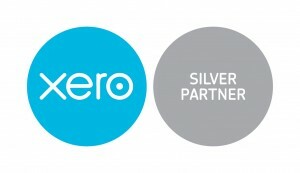 We are proud to announce that we have become Xero Silver partners, making us one of the top Xero bookkeepers in London. By becoming experts in Xero, we have expanded our practice along with our client base. Our Inspira team consists of 9 fully qualified Xero accountants, managing a broad portfolio of distinctive clients ranging from start ups to multi million international businesses. We have many years of expertise and experience in providing outsourced bookkeeping services for businesses operating in many different industries including consultancies, retailers, manufacturers, medical practices, and property agents. We believe the reason why we have been so successfull is that every client is unique to us. We always tailor our services to the client’s needs. To find out more about Inspira and Xero partnership visit: Our Xero Partner page, or you can look at our Xero practice profile on: Xero bookkeepers in the UK. Why should you start thinking about using Xero? Xero is simply brilliant. It has helped us to provide more interactive and precise bookkeeping services to our clients, supporting their growth. We have not encountered anybody who didn’t immediately fall in love with this accounting platform. So why is Xero so great? Our clients value its simplicity, which takes away their stress arising from dealing with day to day complex accountancy issues. It is just exceptionally user friendly making it easier for not only accountants but mainly for businessmen and businesswomen to understand their finances so they can focus on what matters the most – their business! To find more information about Xero: Xero for small businesses. Alternatively, you can watch a few videos about Xero on: Xero TV.